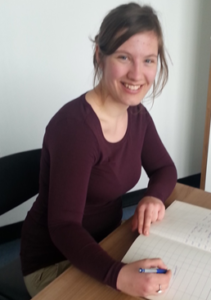 Isabel obtained her bachelor degree in Biopharmaceutical Sciences at the University of Leiden. During her bachelor she already developed a special interest in the first stages of drug development, which consist of the design, synthesis and biological evaluation of drug-like molecules. In this type of research combining chemical and biological knowledge is essential. Isabel developed her interest further during a master project in Biopharmaceutical Sciences, specializing in medicinal chemistry. After internships in the group of prof. dr. Overkleeft and prof. dr. IJzerman working respectively on the synthesis and evaluation of proteasome inhibitors and the development of probes for CC chemokine receptor II, she decided to move to Groningen to proceed as a PhD student in the Chemical Biology II group of Prof. Witte, focussing on the development of probes for phospholipases to gain fundamental knowledge about the function of these enzymes. Saskia was born in Kosice, a very nice and historical city in Slovakia in 1994. Then she moved to the capital city Bratislava to obtain her bachelor’s degree in Medicinal Chemistry and Chemical Materials at Slovak Technical University in Bratislava. She continued her studies in Bratislava and obtained her master’s degree in Organic Chemistry in 2018. During her studies she specialized in total synthesis of natural products such as Protulacton A, Agropyrenol, Sordarial and its non-natural enantiomers. 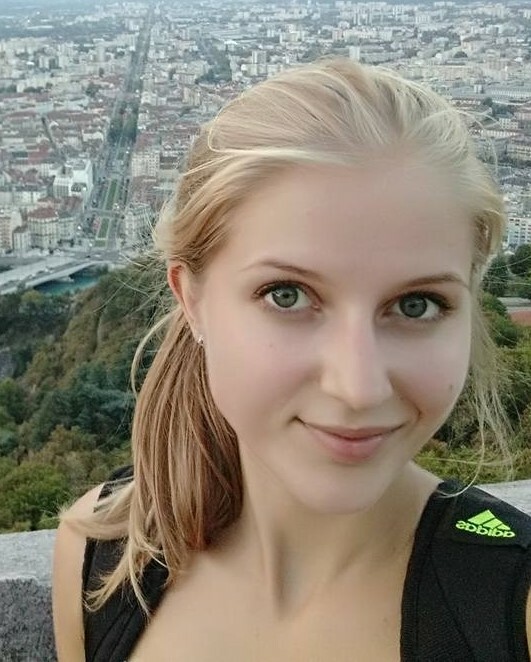 She decided to move to Netherlands to continue her studies as a PhD student in a group of Prof. Peter Horvatovich at the department of Analytical Biochemistry and the group of Prof. Martin Witte at the department of Chemical Biology II. Her research will focus on studying advanced glycation end products and the development of bioinformatic workflow for identification of AGE peptides in MS/MS spectra. Niek obtained his Bachelor’s degree in Chemistry at Utrecht University. Then, he proceeded to obtain his Master’s degree in Drug Innovation, also at Utrecht University. 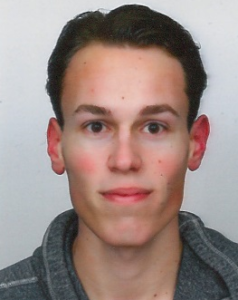 During his Master’s, he performed research at the Chemical Biology & Drug Discovery group under supervision of Prof. dr. Roland Pieters, where he worked on the design and synthesis of multivalent proteasome inhibitors. Furthermore, he performed an internship at the University of Toronto in the group of Prof. Patrick Gunning, working on the synthesis of chemosensors for the detection of phosphorylated proteins. 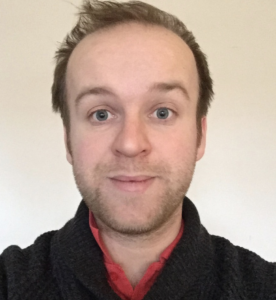 In January 2017, Niek joined the Witte group to work on the development of chemical probes to study phospholipases. Paul was born near Rouen, France in 1988. He studied Pharmacy at the University of Rouen and graduated in 2013 after a Master 2 of Chemistry oriented towards Life Sciences from University Paris Descartes. During his studies he had the opportunity to work at the University of Southampton (UK) under the supervision of Prof. Richard Brown on the synthesis of all-trans retinal and in the laboratory of Dr. Laurent Micouin (Paris Descartes University, France) on the synthesis of cis-3,5-diaminopiperidines. 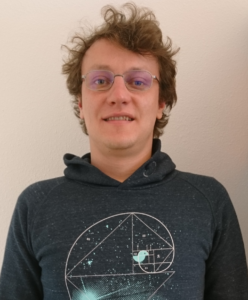 In september 2013, he started his phD in the group of Dr. Martin Witte to work on the development of activity-based probes based on the lipocyclocarbamate scaffold. Jonas was born and raised in sunny Hamburg, Germany. He then studied Molecular Biotechnology at the Technical University of Munich where he obtained both his Bachelor’s and Master’s degree. For his Bachelor’s thesis project (2010) he worked in the group of Steven Verhelst on the synthesis of activity-based probes. For his Master’s thesis project (2012) he worked in the group of Bernhard Küster on the synthesis and evaluation of new kinase inhibitors. He joined the group of Martin Witte in 2013 to work on the development of innovative protein labeling strategies.